Is Russia Actually Targeting Civilians in Syria? According to Amnesty International, bombing by Russia results in killing 16 civilians for every one Islamic State fighter. Airstrikes by Russia on territory occupied by the Islamic State seem to have crossed the line from careless to malicious. The Independent quotes a new report by Amnesty International. 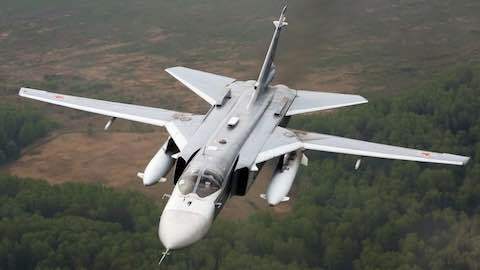 "In some attacks, the Russian armed forces appear to have directly attacked civilians or civilian objects by striking residential areas with no evident military objective and even medical facilities, resulting in deaths and injuries to civilians," the report said. "In others, they seem to have attacked military objectives and civilian objects without distinction, or caused disproportionate harm to civilians when striking military targets. Such attacks may constitute war crimes." Why would Russia attack civilians intentionally? It's bad enough when a state declares open season on the citizens of a state with which it's at war. But it's as if Russian military command isn't capable of understanding that the citizens it's attacking are, for the most part, an occupied people, not a citizenry for whom the Islamic State fighting. Old habits die hard, I guess. "Is Russia Actually Targeting Civilians in Syria?"